Why choose this stove? Many thousands have been spent on designing and testing this unit. It has been designed with the customer in mind so that they are getting a great stove with impressive features for the best price. 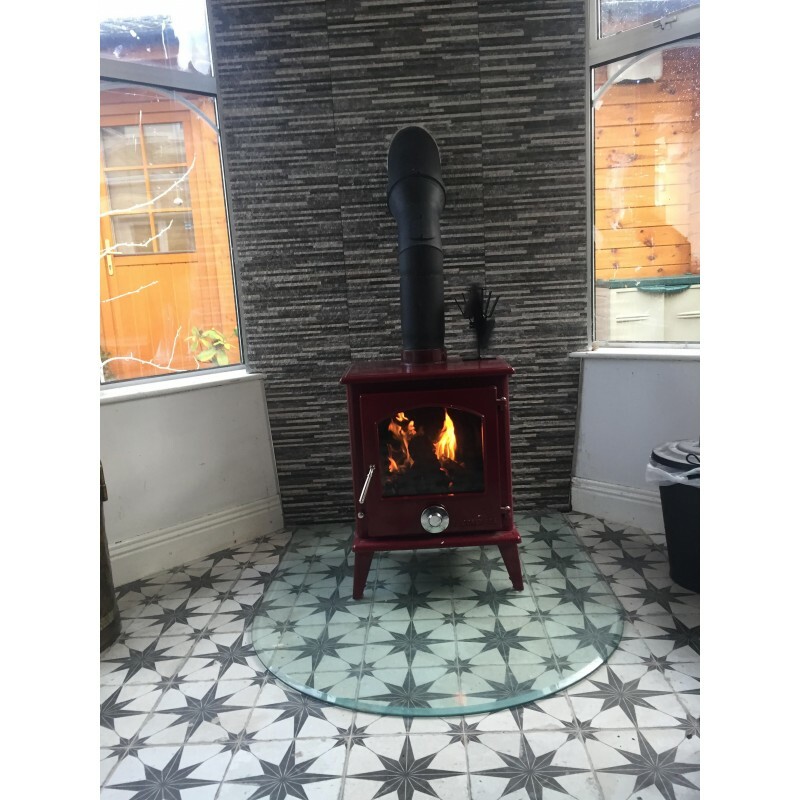 It's features include a sizeable fire box which can take a large log, it has an easy to clean heat resistant finish, smooth air controls and a 5" flue outlet. The unique Petit XL is finished in a lovely Red enamel that looks stunning. We are offering a chance to own a product that is unique and a little different than the standard black stove. The finish is not only good to look at it is also very practical. Standard stoves can get very shabby after time with dust and dirt building up clinging to the stove. 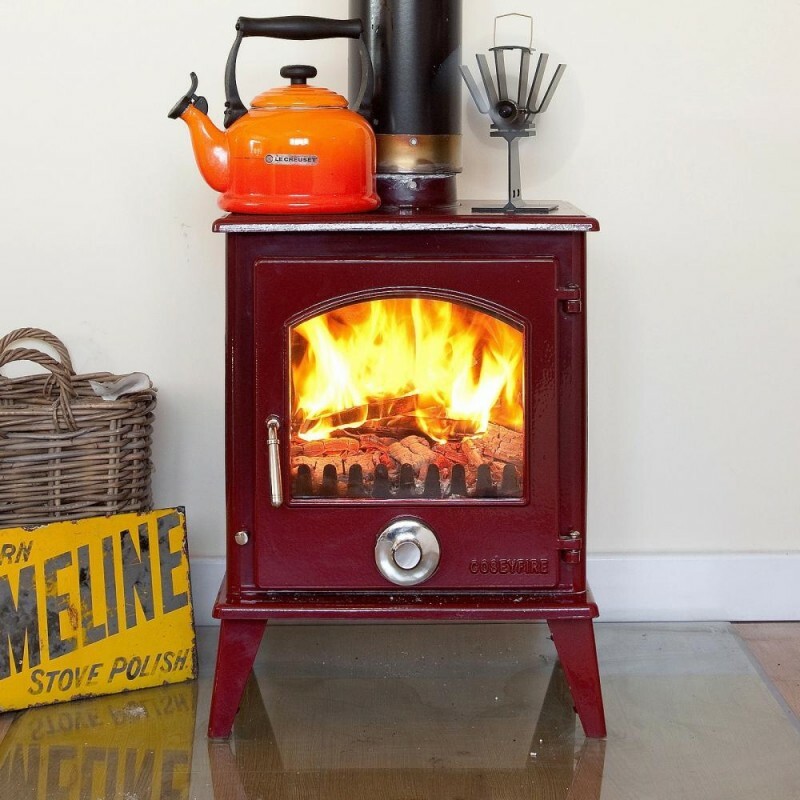 With an enamel stove this is not an issue as they can just wipe clean with a cloth. The Coseyfire Petit has an advanced tertiary clean burn system that is controled by a chrome pull lever on the base of the stove. This lever opens and closes a vent that pulls air over the fire, re burning the initial smoke emitted by the stove. 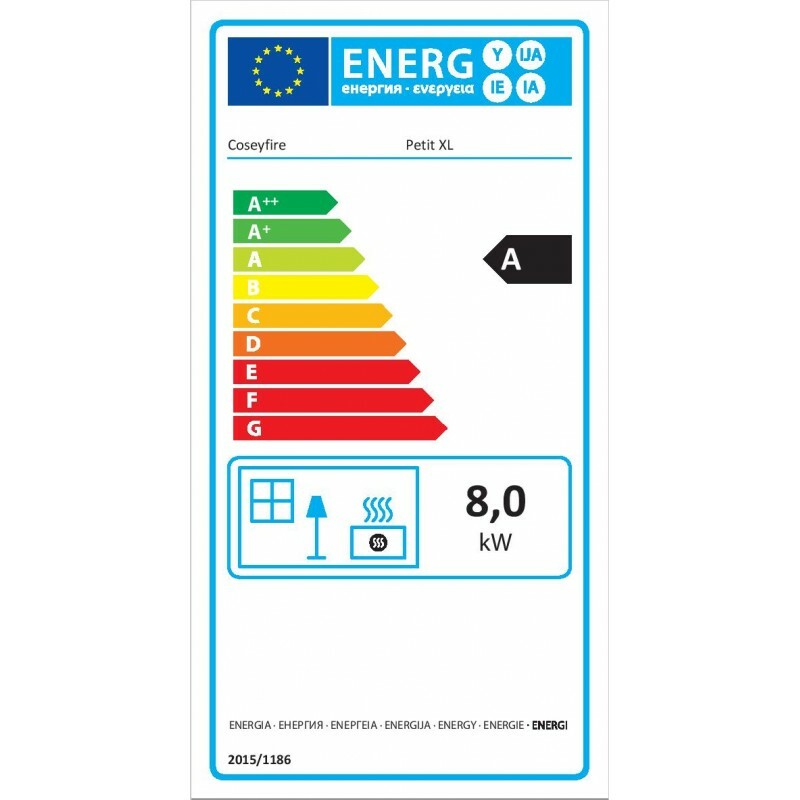 This makes the stove a lot more efficient and eco friendly saving you a large amount on fuel costs. The Coseyfire Petit XL has an excellent overnight burn system. It's air tight door gaskets and manual air flow controls allow you to close the stove right down overnight and wake up to a warm house in the morning. All you will need to do is reopen the air controls, add a little more coal or wood and watch the fire roar again. Body - The stove is made from thick Australian cast iron allowing the stove to radiate heat for much longer than stoves with thinner castings. The stove is also made entirely from mineral cast iron as opposed to re-melted scrap like many others. This makes the stove much more durable and drastically reduces its chances of cracking in the future. Firebricks- Both sides lined with vermiculite bricks and the back with cast iron plate. Please note that this is the price for delivery of A+ Coseyfire Petit XL RED ENAMEL 8kw Multi-Fuel Woodburning Stove, WITH SECONDARY BURN SYSTEM only. The final amount might change depending on the contents of your shopping bag when you check out.